Walking is my preferred way to visit a city, along with local public transport, as you really get the feel of a place being on the ground and treading the pavements alongside locals going about their daily life. In general, I wouldn’t say I’m much of a guided group tour person, preferring to explore at my own pace with my own family. 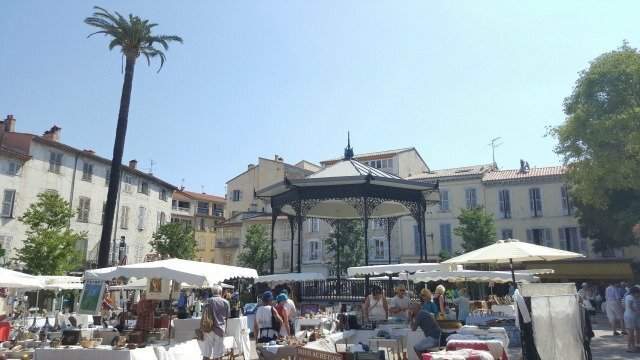 However, I’m pretty much open to all suggestions when it comes to travel and exploring somewhere so I was delighted when I was invited to try out a free walking tour of Antibes, somewhere I thought I knew well. It turns out there was plenty I didn’t know about Antibes, the 2nd biggest town in the Alpes-Maritimes département. Walking around its absurdly photogenic old town in the company of local resident and Antibes-o-phile Cedric was an enlightening and pleasurable way to spend a sunny morning. I learnt more about the history of this ancient town than I’d cobbled together in the past 10 years living in the area and I discovered details I had no idea existed. 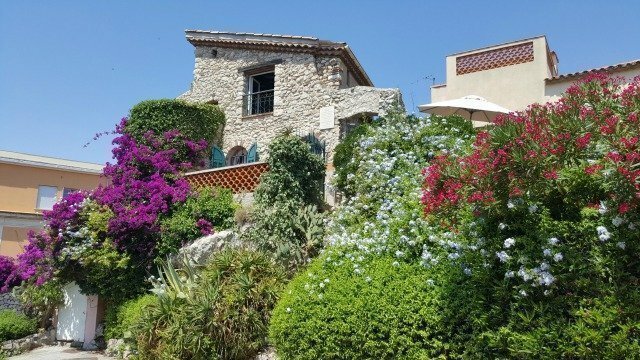 Antibes Free Walking Tours is the creation of entrepreneur Cedric Pages, a charming bilingual Antibois, passionate about his town and about sharing it with visitors. His enthusiastic approach to life bubbles through the tour. He peppers the conversation with plenty of insider anecdotes, historical facts, quirky/fun facts and useful information while pointing out hidden treasures. Just look at the ceiling in the little-visited church below. As well as learning about the history of Antibes town you discover surprising things about French culture, with an unexpected treat to experience (I won’t spill the beans or it wouldn’t be a surprise…) Best of all I never felt like Cedric was bored and regurgitating a prepared spiel, which I have definitely experienced on other tours around the world. 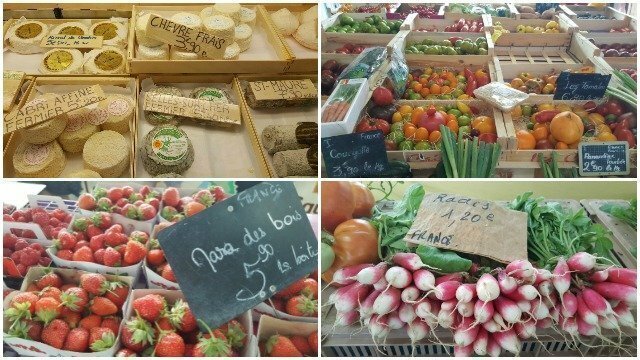 The tour starts at Place Général de Gaulle (with its sprawling market depending on the day) and takes in Place Nationale (which might also have a market depending on the day) and the gorgeously scenic Marché Provençal. 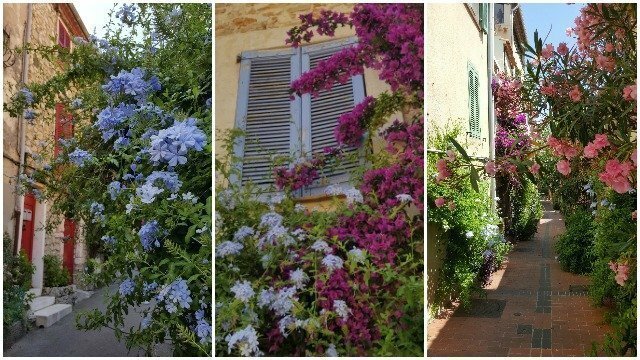 It continues through the colourful floral streets of the Commune libre du Safranier, (a neighbourhood known for its artistic freedom, lack of politics and focus on festivals where the Greek writer Kazantzaki wrote his famous oeuvre Zorba the Greek). 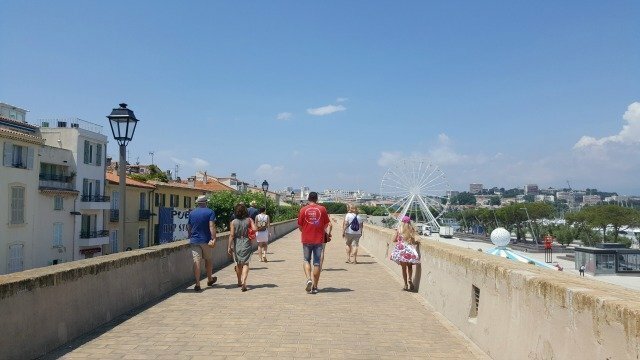 We then stopped in the shade outside the Château Grimaldi, the magnificent building that houses the Picasso museum, before finishing along the city ramparts over looking Gravette beach and Port Vauban. All of these places are gorgeously picturesque and highly “Instagramable”, if that’s your thing. As I said before I thought I knew Antibes pretty well so I was genuinely impressed to be shown many details I had missed over the years. 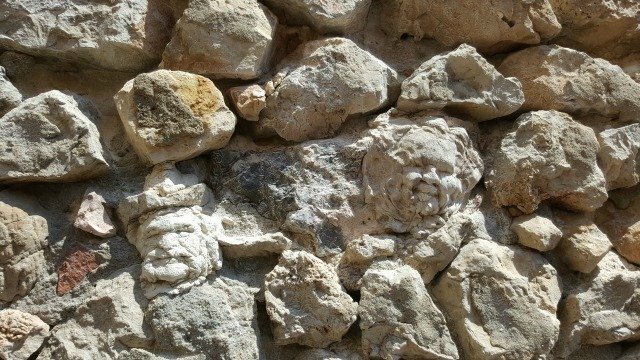 Can you see the faces in the wall below? I’d never noticed them until Cedric pointed them out. The day I joined the tour, we were a group of 6 local bloggers/influencers/journalists and a handful of tourists from Europe and North America. We ambled through the town at a reasonable pace never too slow or too fast, ideal for taking photos and chatting to the others in the group. At no time did I feel bored or rushed, and neither did I feel Cedric was taking us anywhere other than places he genuinely loved. There was absolutely no hidden agenda with pressure to buy from shops on commission which I greatly appreciated. We visited some central popular parts of the town as well as quieter lesser known areas getting a rounded perspective of this beautiful town. So having stated at the beginning of this review that I’m not hugely into guided group tours, would I recommend this tour? And has it changed my opinion about guided tours? Yes, and yes! I’m beginning to see that guided tours have improved considerably in recent years with specialist interest tours, small groups and passionate guides becoming the standard to live up to. 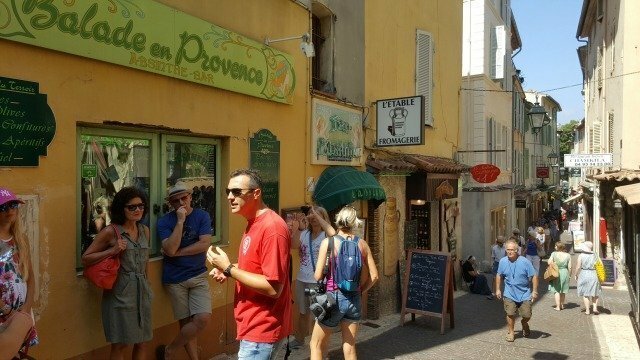 This is particularly true of free tours where the guide relies wholly on tips as is the case here at Antibes Free Walking Tours. 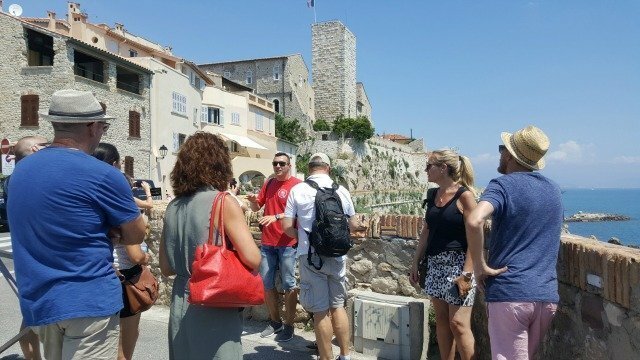 This tour genuinely offers a view of Antibes that I doubt you could get from a self-guided tour or a casual wander around. I think what Cedric is offering visitors is fabulous and I’m so pleased that since I went on this tour his business is booming. So much so that he now offer electric bike tours and food tours, all based in Antibes. 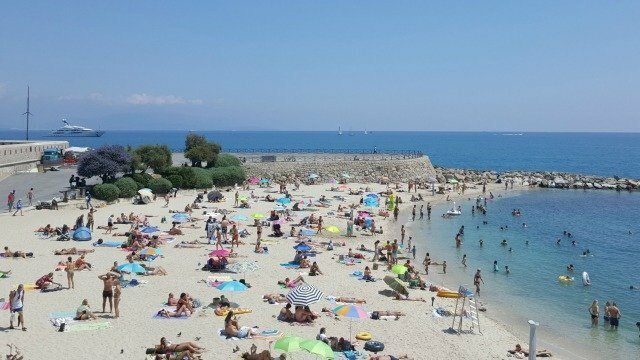 The Antibes Free Walking Tour takes place on Monday, Wednesday, Friday and Saturday mornings (April to September) at 10 am and lasts about 2-2.5 hours. (Other days at other times of year). It is suitable for families (pushchair accessible) though not specifically aimed at young kids. Check the website for up-to-date times, meeting point and to book your place. 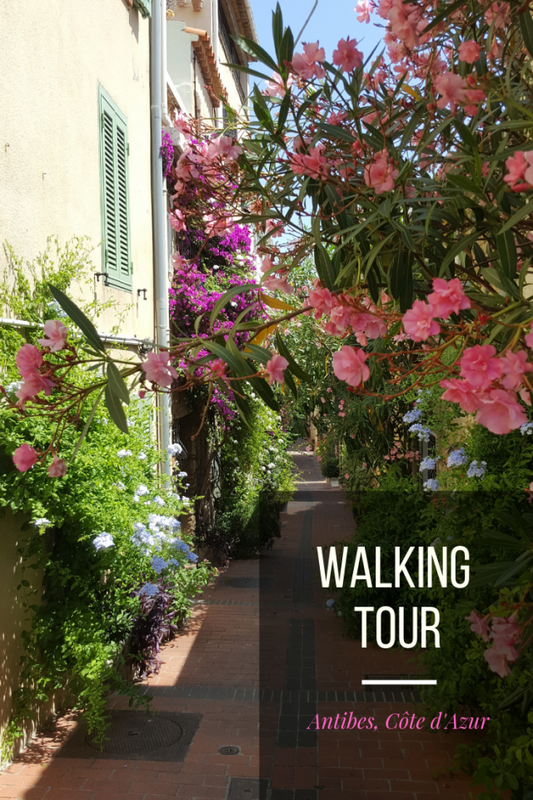 You can also find Antibes Free Walking Tours on Instagram, Facebook and Twitter. Have you done a walking tour you’d recommend? Do you like taking tours? Please share your experiences in the comments. 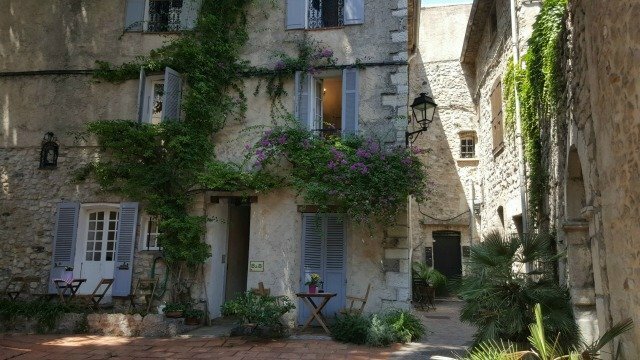 Disclosure: I was invited to a special Bloggers’ Day with Antibes Free Walking Tours to experience the tour for myself. 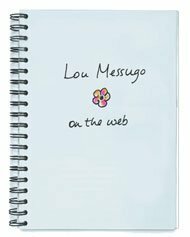 I was under no obligation to write a review though I enjoyed it so much I wanted to share my experience. This is my honest account of the tour and all opinions are my own. Walking tours are my favourite way to discover new cities, so this is right up my alley! The only thing I’m unsure about is the ‘pay what you think it’s worth’ part. I always feel awkward in these situations.. Did he mention anything about how much people normally tip? Otherwise, sounds like a fab tour and something I’ll look into when I finally make it to Antibes! I love the free walking tours that are on offer across the globe too. Although it is always tricky to know how much to tip! It would have been great talking to the other participants too! I don’t know Antibes but it looks like I should go! What a great idea, I have a habit of wandering around in circles, missing the best bits and never really feeling like I’ve been somewhere – especially as most places we visit tend to be just one night stops on road or cycle touring holidays. I do love walking tours, especially as an introduction to a place. You describe so many good aspects of a walk. I love that you started in the market. Bike tours are fun, too! What I love most is having a guide who can help us learn and answer any of my questions! 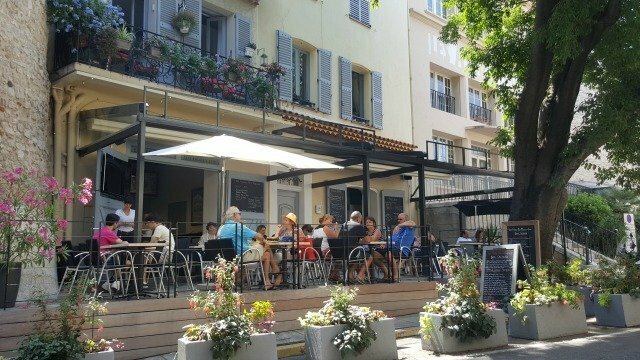 I love guided walking tours and it seems Antibes is the awesome place to have one. I hope I will explore more of France and get to Antibes one day. Thanks for the detailed information and awesome pictures. Antibes looks fabulous. I’ll have to add it to my – ever extending – list of places to visit! 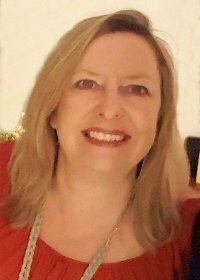 My most recent experience of a free guided walking tour was in Cape Town and it sounded very similar to the one you have described. It makes such a difference when the guide is passionate about their town or city. It’s great to have “All About France” back online — and this story is a great way to bring it back! Your photos are beautiful, and make me want to put Antibes on my agenda for our next trip to the south of France. Antibes looks gorgeous! How lovely to discover new things about a place you feel you already know very well. I know what you mean about organised tours. We have done a few on river cruises but, thankfully, they have been much better than we’d anticipated. They seem more relaxed than they used to be and there’s the freedom to do your own thing if you wish. I’ll have to pass this on to some friends who rent out holidays apartments in Antibes. The tour sounds great! Is it one of those walking tours that you pay something at the end if you want to? I’ve recently read about them in London (where we’re going to visit soon) and was thinking of taking one. I didn’t realize that there was one on my back door-step! Yes, this tour is tip based, pay what you think it’s worth. Cedric has just started some other tours in Antibes and Cannes this week too Lisa, so tell our friends. Your post greeted me with some lovely pictures. Thanks for taking me to a place I have never been! Loved that blue ceiling. We share your love of walking cities. There is so much to see and experience when walking. Haven’t been to Antibes. Nice to go on this tour with you. Looks like an absolutely gorgeous way to see the city! Looks like a beautiful city. I love taking free walking tours in a city, and I generally find what you did, that the guide is truly passionate about the city, and loves to share it with visitors. Lovely photos. Antibes is somewhere I have never been, although I have been to other regions in France. 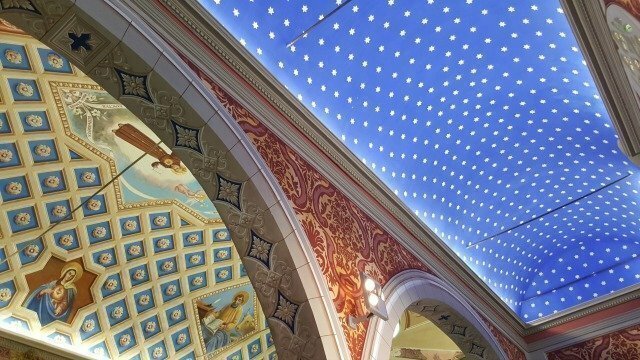 That church ceiling is worth the tour alone! I’m not much of a guide person myself but am always amazed about how much one learns from those who treasure their little bit of paradise. Wonderful post! Thank you for taking us on a tour – I’ve never been and have now added to my bucket list. Walking tour sounds interesting! We have done guided tours at the attractions and guided segway tours but I wouldn’t mind trying a walking tour. We’re big fans of Segway tours in our family too, such fun!